On November 14, the army in Zimbabwe took over the country and put President Robert Mugabe and his family under house arrest. Mugabe was asked to resign, and he finally did so on November 21. This whole crisis started when earlier in November, Mugabe dismissed the nation’s Vice-President Emmerson Mnangagwa, upsetting the army commanders. Mnangagwa is now expected to be sworn in as the president of Zimbabwe. 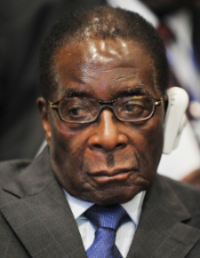 Mugabe had been the leader of Zimbabwe for 37 years. At 93 years of age, he was the oldest leader in the world. There had been talks about who would become Zimbabwe’s leader after him. 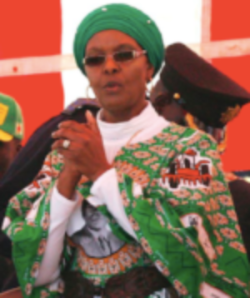 The two most likely would-be successors were Mnangagwa and Mugabe’s wife, who had been aspiring to take over. When Mugabe fired Mnangagwa, it appeared that he was making sure his wife, Grace Mugabe, would be the next leader. This angered the army leaders. Grace is about 40 years younger than her husband. She was an office typist when they met in the 1990s. In recent times, she has developed a reputation for big political ambitions, lavish spending, and a fiery temper. Zimbabwe used to be a British colony and got its independence in 1980. Mugabe helped in the fight for the nation to become independent. He became Zimbabwe’s first leader and has been in power ever since. Harare is the capital. Here is a video about this news story. According to the CIA World Factbook, the average life expectancy at birth of a person in Zimbabwe is about 60 years. For comparison, Chad has the lowest (50 years), and Monaco has the highest (89 years).